Sharyl Attkisson wrote opinion piece on the Hill. Her apology. Any libs want to chime in go right ahead…it doesn’t bit. That’s because he left it up to Barr who did exonerate Trump. Findings? I want to know if the Russians he busted for interfering in the election also helped Obama and Hillary with the Russian dossier. Really, sounds like they’re the same Russians that participated in Obama’s attempted coup with the unverified dossier. If you believed the fake news of Russian collusion you were the enemy, everyone who didn’t watch that fake news always knew Trump didn’t collude with Russians. Everyone has a choice to not be sheeple to the fake news. And Obama has the biggest scandal in American history hanging over his head with Spygate, Fisagate and Benghazigate. You need to raise your standards! And we can’t forget the IRS scandal, Fast and Furious and of course the IRAN farce of a deal. McCain participated in the attempted coup, he lost all those attaboys that made him a hero. Does the phrase Benghazi hearings ring a bell? How can we believe a report written by a crooked Mueller and his 12 angry democrats? Everyone knew that the Trump campaign didn’t take Sater up on his offer? Everyone knew that the trump campaign didn’t further engage the Russians that offered materials at the Trump tower meeting? Everyone knew that Stone didn’t coordinate the release of the hacked emails despite having email contact with Guccifer? Everyone knew that Manafort didn’t coordinate with Kilimnik when he gave them internal polling data? (This is the biggest one for me, can’t wait to see what the report says about this whopper). Nah, no one knew anything. They were hoping for one outcome like the other side was hoping for another. Ahh, back to the old partisan games. Please, don’t stop the fealty. The intense hatred Trump supporters have toward him is very dishonorable, but also that shown toward a true American hero, Robert Mueller. Are you talking about the same Russians that helped Steele write the unverified dossier for Hillary that was used to spy on the Trump campaign? Deepstate traitors created the Mueller Special Counsel thanks to testimonies from Page, McCabe and Strzok’s and Ore is priceless. Dishonorable is the attempted coup that McCain chose to participate in! 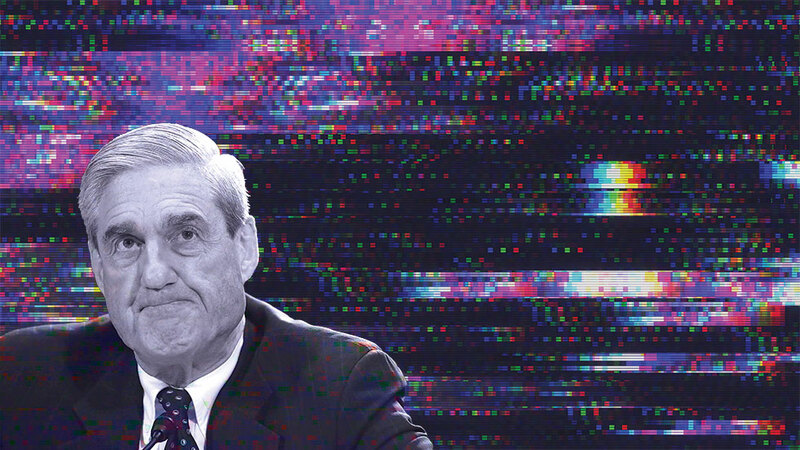 Mueller was part of the Uranium One scandal. Pretty cool fiction you got there. Oh, i get it, you believe the big lie that Trump has been found innocent. Will Trump apologize for his numerous public lies about his activities ? Will he apologize for attacking and discrediting US intelligence regarding Putin’s interference, on Trump’s behalf, in the 2016 election? Yep! Shame about those deleted e-mails. He refused to admit Russia interfered in our elections, doubting in front of Putin himself what our intelligence agencies reported to him. He’s not just a traitor, he’s a scumbag.